Here is the first of the promised actual real hand-painted items for sale directly. These are all done on Artist Trading Cards, specifically Bristol paper, with ink and watercolor. 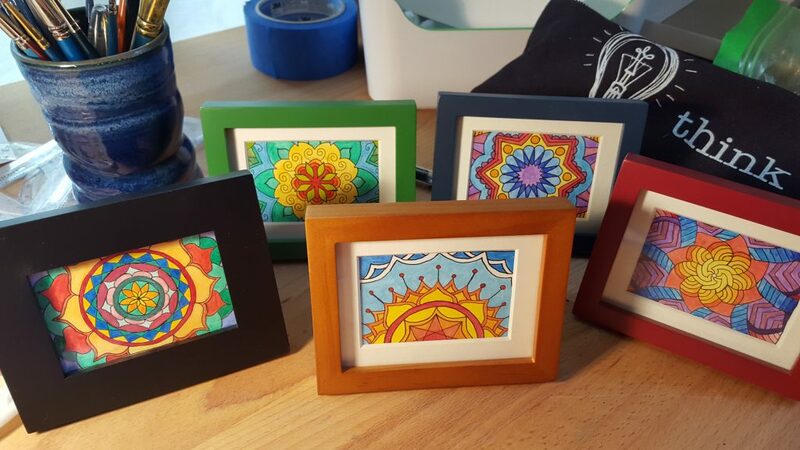 Most are traced from existing mandalas, but one is 100% original. All of these are 2.5″ x 3.5″. 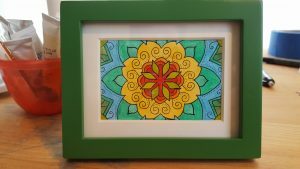 Frames with mats are matted to 2″x3″. 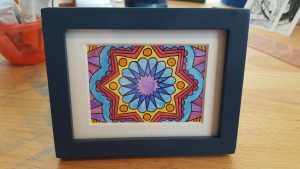 Frame without mat is 2.25″x3.25″. Payment preferred via PayPal and includes shipping to the US only; please email me at info ‘at’ ninthcircle.net to confirm availability and shipping and all that. This one is 100% original work – designed directly on the card with compass, ruler, and circle template and a lot of patience. $15 unframed, $20 framed. This is traced with some modification from a so far unpublished piece – Listening to the Universe Mandala. $10 unframed, $15 framed. 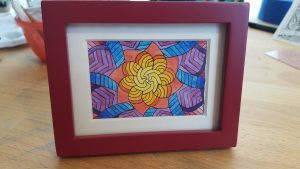 This is from the Simple Swirl Mandala. $10 unframed, $15 framed. This is from another unpublished piece, so far unnamed. $10 unframed, $15 framed. Yeah, this one too. Clearly I realllly need to get a lot of pieces out of my done folder and out into the world. $10 unframed, $15 framed. Interested in seeing some in-process images of these? Check out my Patreon – in process photos go out to First Circle and higher patrons. Want a nice big print? 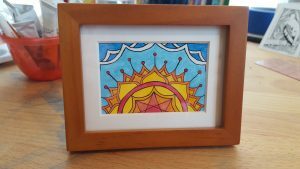 Check out my RedBubble profile – they usually run a sale on Mondays, code readily available on the website. 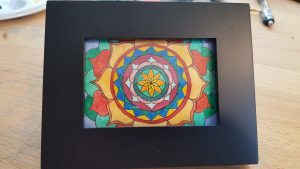 This entry was posted in For Sale, I Made An Art and tagged for sale, i made an art, mandala, new product, watercolor. Bookmark the permalink.